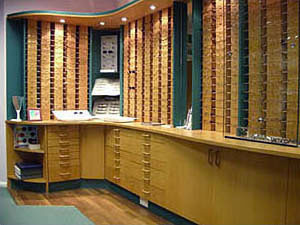 An Independent Opticians Practice in Hemel Hempstead, Hertfordshire since 1983. David Pressman is an independent Optician who established his Hemel Hempstead Opticians practice, in the busy heart of Hertfordshire, in 1983. The practice provides high quality frames, lenses, contact lenses and designer sunglasses, in addition to a high level of clinical expertise and personalised attention. The spectacle frame range is extensive, from affordable, to top designer and high tech ranges. The selection of lenses is one of widest you will find in Hertfordshire, ensuring the most suitable lenses are recommended to meet patient’s requirements. 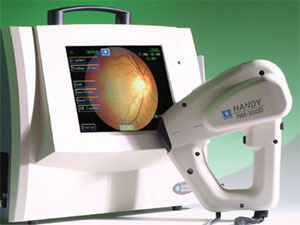 Proven methods of eye examination are combined with new technology to provide thorough in depth eye examinations. David’s optometrists are dedicated to providing a full eye care screening process, to ensure patients continued optimum ocular health. This is combined with accurate spectacle and contact lens prescriptions for maximum visual acuity and comfort, should the need for ocular correction arise. So, if you live in Hertfordshire and take your eyecare seriously, then visit our practice where we will professionally take care of all your needs. 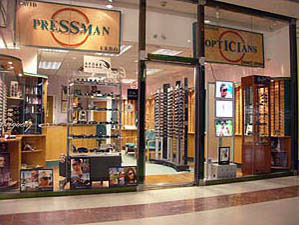 David Pressman Opticians is an independent, friendly practice in Hemel Hempstead. We offer the highest standards of treatment for all our patients, many of which have been returning to our practice every year for over 30 years. We offer both private and NHS eye tests to patients of all ages, and are happy to deal with your eyecare needs, no matter how simple or complex they may be. All our staff are fully trained, will attend to your needs in a friendly and attentive manner, and are ready to answer any question you may have as well as offering sound, impartial advice on your selection of glasses.